When the real estate bubble burst, a lot of homeowners found themselves on the losing side in terms of property ownership. There are a lot of people with monthly mortgage payments that exceeded their monthly net income. In combination with the drop in property values, a lot of folks have been left not knowing what to do. It is due to this dismal situation that the short sale became a household name. Realize, that if your property has enough equity in it, you can sell it through conventional channels. If the amount owed on your property is more than what is is currently worth, you might be a perfect candidate for a short sale. I've written previous posts about short sale and you can click on any of these links for more information. What is a hardship and do I qualify for a short sale? If you are truly in a hardship position and cannot sell your home for as much as you currently owe, a short sale could be the right choice for you. If there is equity in your home or you have money in the bank, there are a few options that could allow you to stay in your property. Refinance. This option would allow you to replace your current mortgage with a new one. You will need to have a certain amount of equity in the property to qualify for this option. Reinstatement. If you are in pre-foreclosure but have come into some extra money, you may be able to reinstate your existing loan by paying the entire defaulted amount as well as interest and late fees. Loan Modification. If you are gainfully employed and simply not able to cover your current mortgage, it is possible that your lender will work with you to adjust the loan either in terms, amount and/or interest rate. Your mortgage will want you to demonstrate a reason (or hardship) for your inability to keep up with the mortgage and will likely give you a trial modification before making any permanent changes. Forbearance. Your existing mortgage could allow you leeway in bringing your loan current. They may allow extra time for over due payments, add late payments to the principle or any number of things to allow you to ‘pick up where you left off' and not get further behind on your loan or farther down the foreclosure path. If you have exhausted these options or simply are not qualified for them, you can go one of these routes: Deed in lieu of foreclosure. In this option you essentially give the property back to the bank instead of proceeding with a foreclosure. There are definite negative impacts on your credit rating and ability to obtain a loan in the future if you go this route. Foreclosure. If you take no action at all, eventually the bank will simply foreclose on the property. It will be sold at a trustee's sale and if you have not already vacated, you will be evicted by the sheriff. Again, your credit will take a giant hit! This article explains the steps in the foreclosure process and provides the California foreclosure timeline. Bankruptcy. This option can liquidate debt and postpone a foreclosure sale. 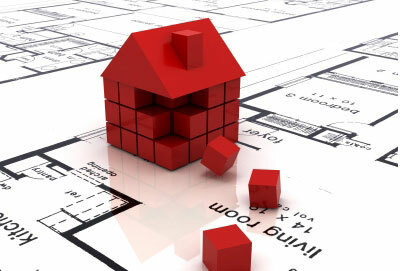 You lender may impose requirements as to property condition and tax status. You would definitely want to speak to an attorney before going this route. There are many things to take into consideration when deciding what move to make. f you are having trouble making ends meet, don't let the bank foreclose on you! I urge you to contact me directly at 213-215-4758 and I will go over the specifics of your situation with you and help you determine your best course of action. Questions About Short Sales and Foreclosure Alternatives?